Its unusual for me to twitch outside Cornwall, but news of a Brunnich's Guillemot was just too tempting. 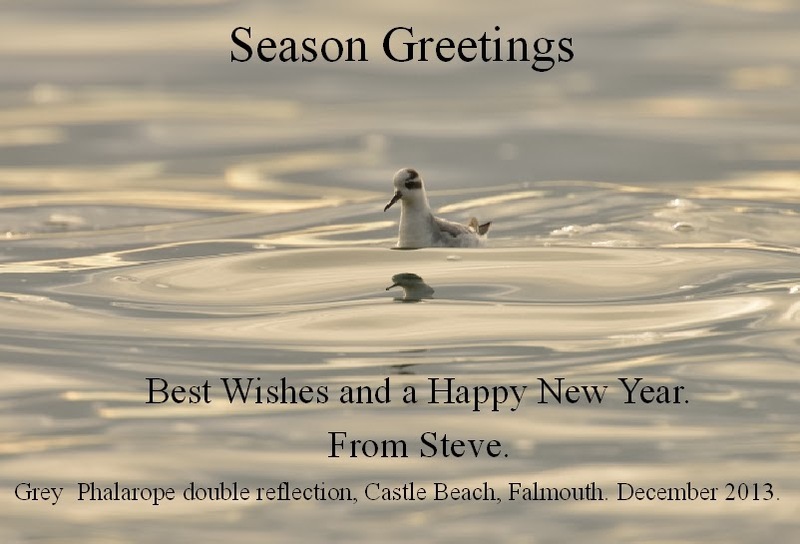 I travelled to Portland, Dorset on Sunday and quickly connected with another 100 or so birders. The bird is uber-rare in England - in fact, there is only one other record in 1977 of one in Northumberland. All of the other previous 41 records in the UK have been found in the northern Isles. And well over half of these were found dead. The Portland individual has been present since at least the 19th Dec and was found after the huge gales we experienced before Christmas. Of interest, other rare arctic species including White-billed Diver, Snowy Owl and Ivory Gull also turned up in the UK. 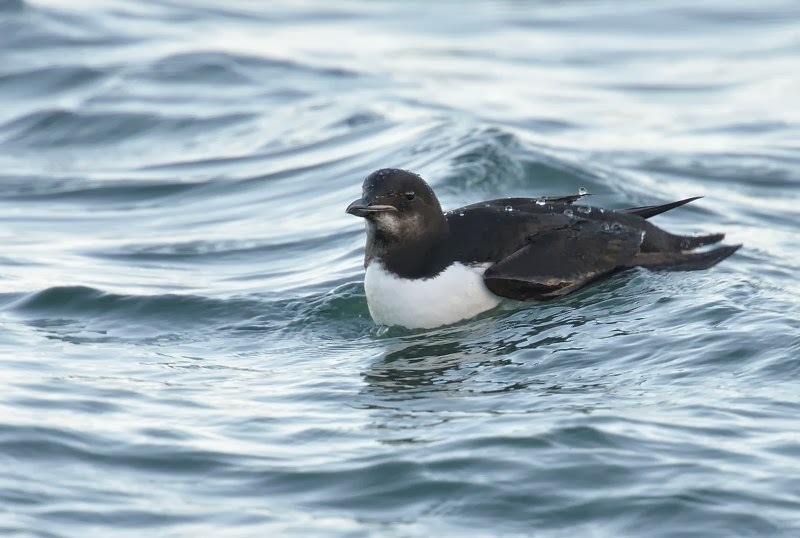 This species is almost circumpolar in the Arctic and near Arctic but in Newfoundland it breeds at a latitude equivalent to that of northern France. This reflects the lower sea temperatures on that side of the Atlantic Ocean. The nearest breeding colonies to Britain are in Iceland, Greenland and northern Norway. In winter it disperses out to sea in northern latitudes with it's southerly limit in the eastern Atlantic being well to the north of Scotland. The worldwide population is estimated to be in the region of 15 to 20 million individuals and as such it is one of the most abundant marine species in the northern hemisphere. There are nearly two million breeding pairs in Iceland alone which makes it's rarity in Britain very surprising indeed. Thanks to Archie for the list of records and some text. Further informative info can be found on Archie's birding blog here. 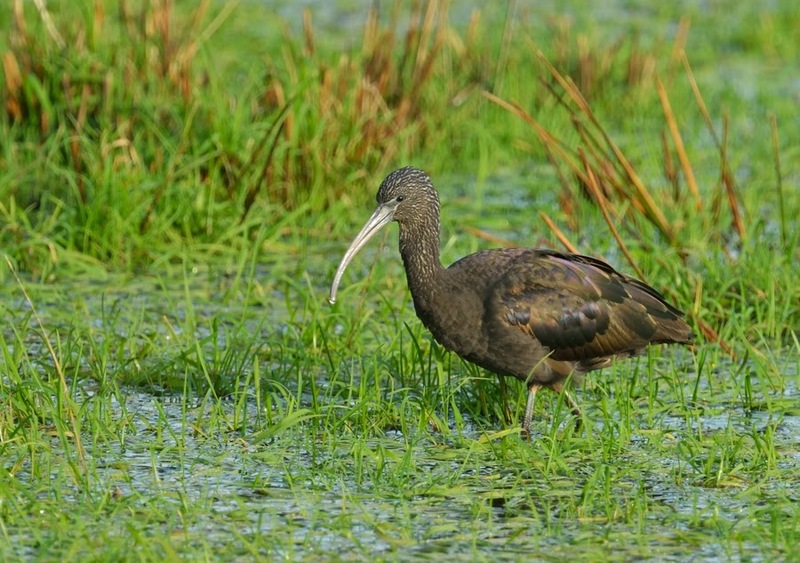 This first winter Glossy Ibis has been present in the marshy fields below Tregony since at least the 10th December. Several other recent records in the county include one at Drift Res on the 14th Dec. Four flew over West Cornwall golf course on the 7th Dec, reducing to three at Ryan's Field, Hayle the following day. Presumably the remaining fourth bird flew over the reed beds at Marazion on the 8th. 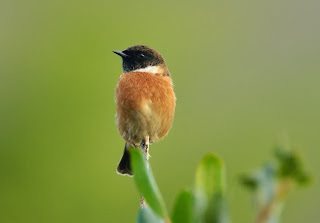 Single birds were also seen on the 8th at Helston Loe Pool and at St Merryn. 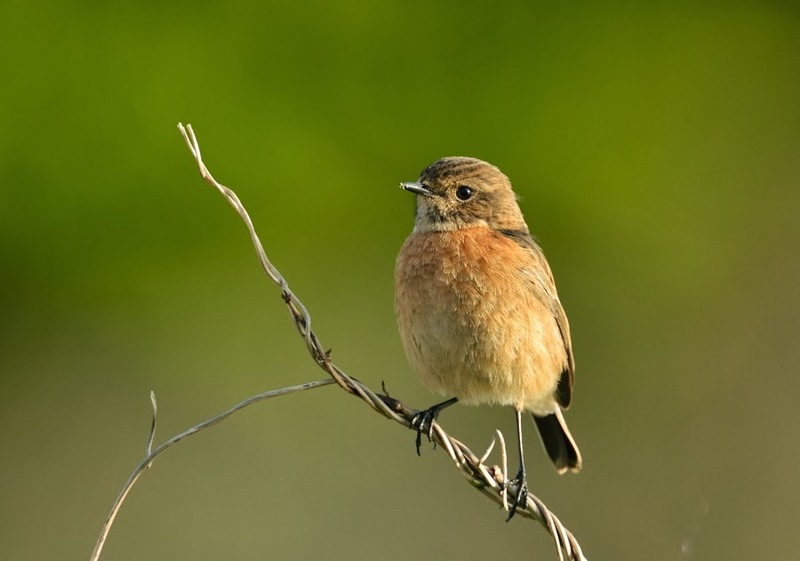 This pair of Stonechats were seen today at Pendower beach. Stonechat took a bit of a hit in numbers after last years' harsh winter but seem to have made a decent recovery. This pair were very confiding this morning in the low winter sunshine.